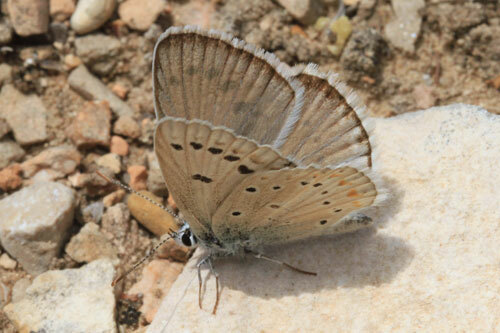 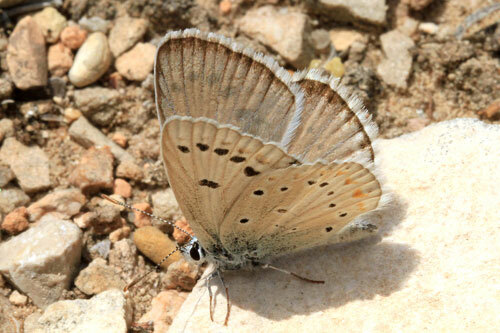 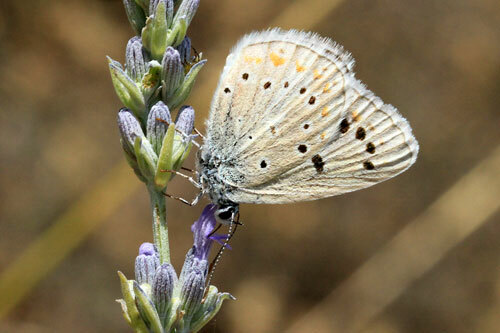 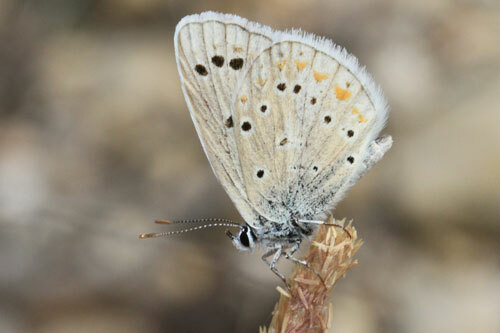 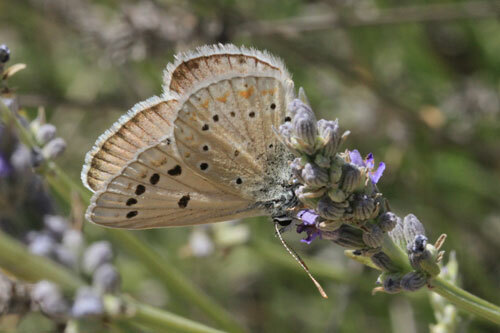 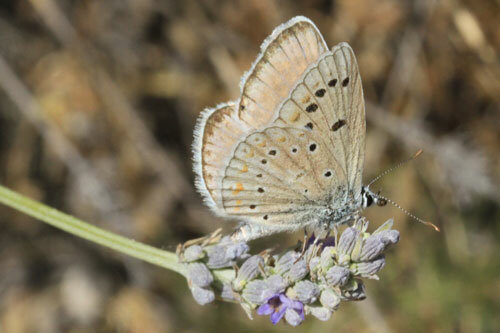 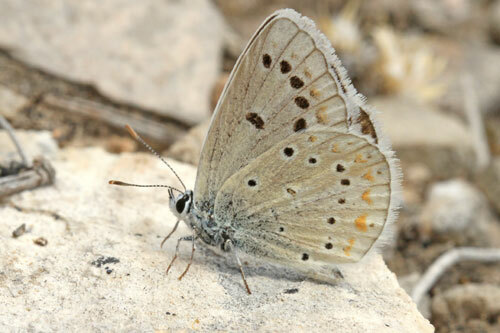 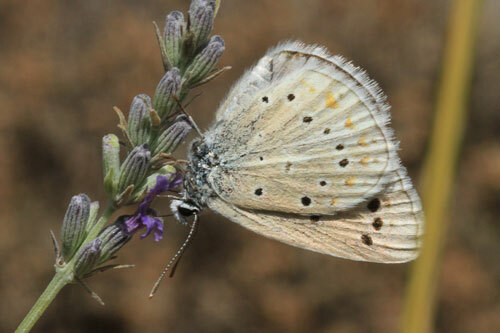 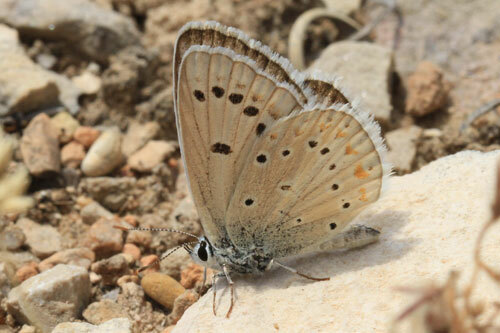 A beautiful delicate pale blue butterfly from Spain. 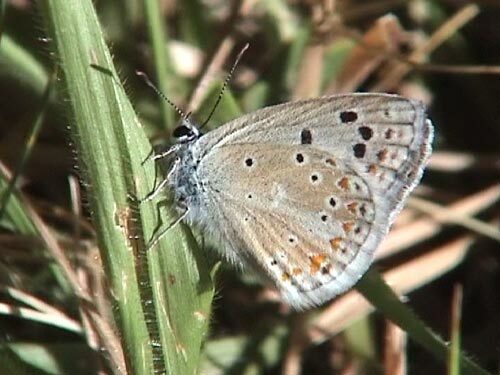 Hard to find although reportedly widespread. 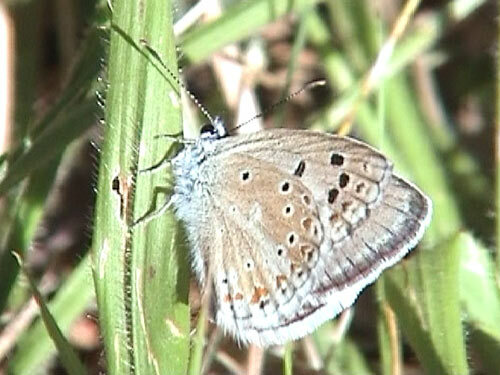 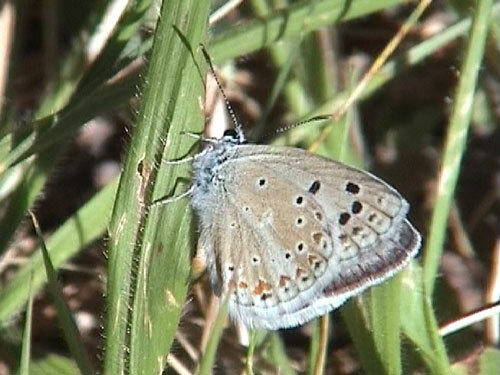 Identification & Similar species: The very pale uppersides, almost white, are distinctive to this species. 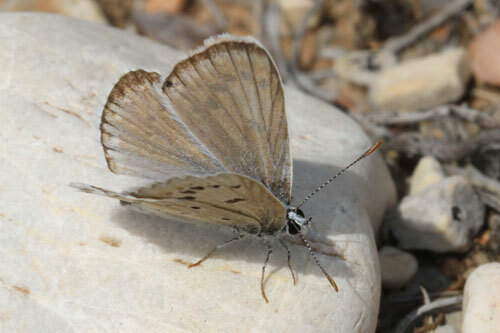 Distribution & Flight: Sporadic across hills and mountains of Spain. 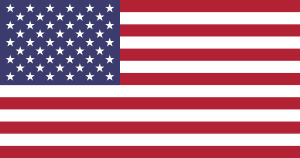 Very local and, in my experience, uncommon. 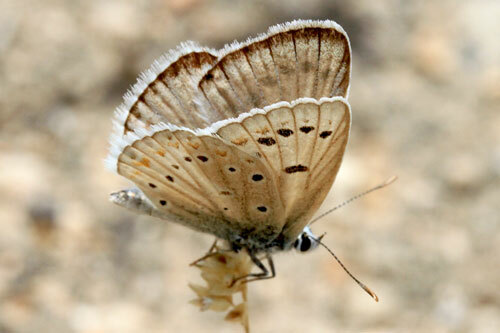 Usually June/ early July, but emergence is prolonged from May into August. 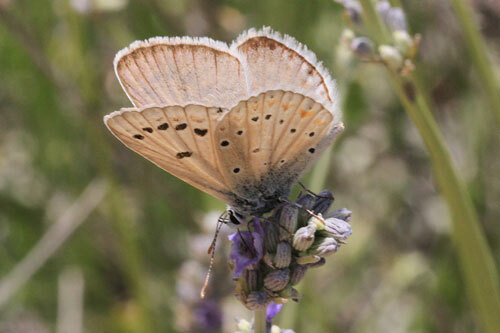 Habitat & Behaviour: Flowery grassland, clearings in scrubland, rocky gulleys.